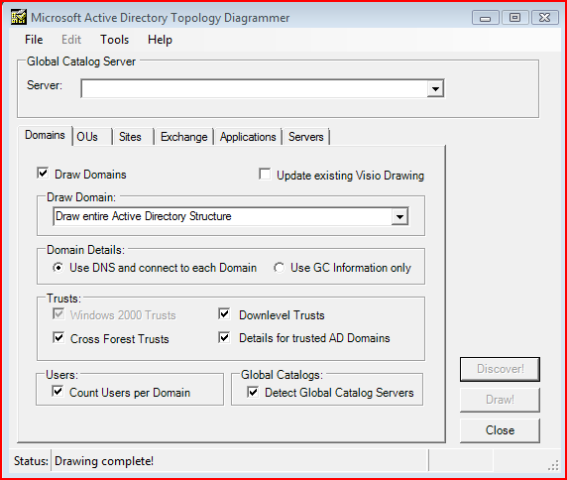 Posted by Björn Axéll in Active Directory, Exchange, How-To, Windows. 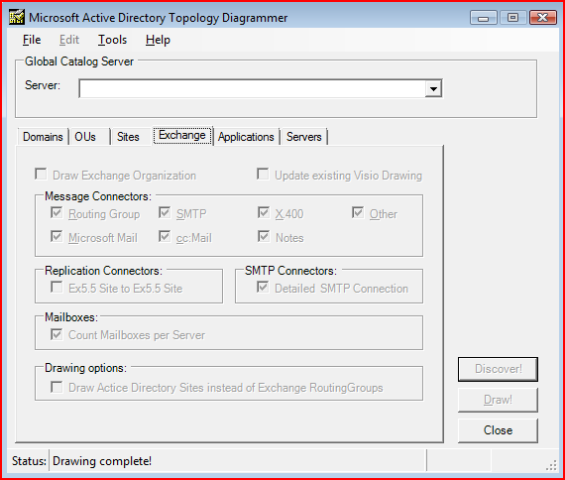 Have you ever wanted to document your Active Directory and Exchange Environment? A couple of years ago, you could use Visio 2000 to do just this. 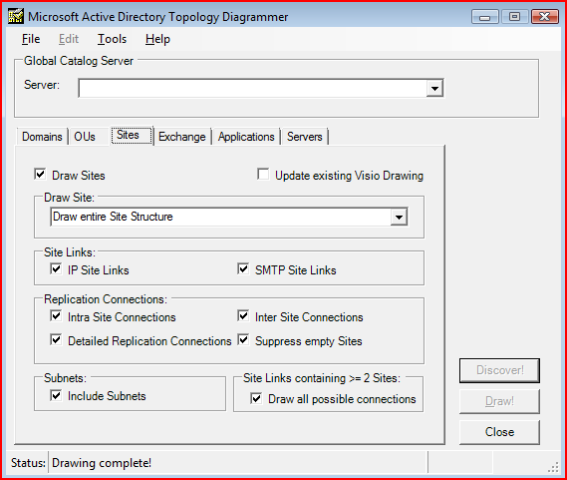 The problem is that Microsoft removed that function from newer versions of Visio. Today I found a new cool application from Microsoft (and it’s free) that fixes this problem. You install the application and select what you want to document (see print screens below). 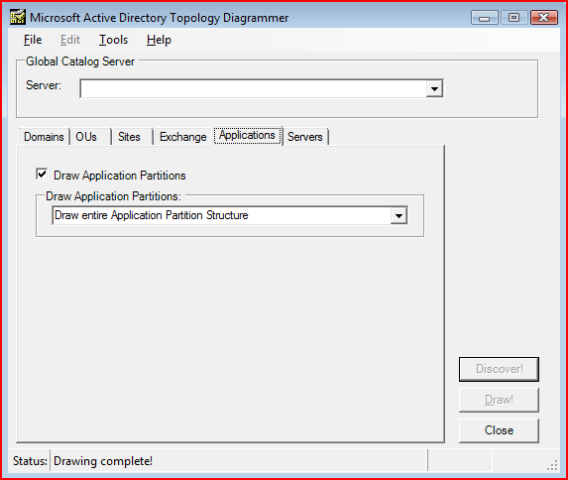 When you have done your selections, just click “Draw” and it will create Visio document. 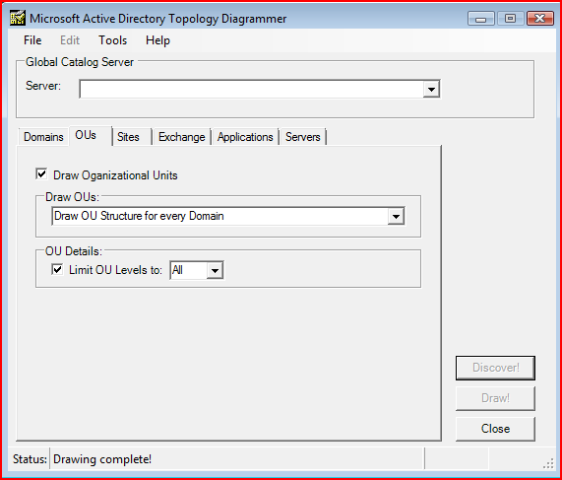 The Microsoft Active Directory Topology Diagrammer reads an Active Directory configuration using ActiveX Data Objects (ADO), and then automatically generates a Visio diagram of your Active Directory and /or your Exchange 200x Server topology. 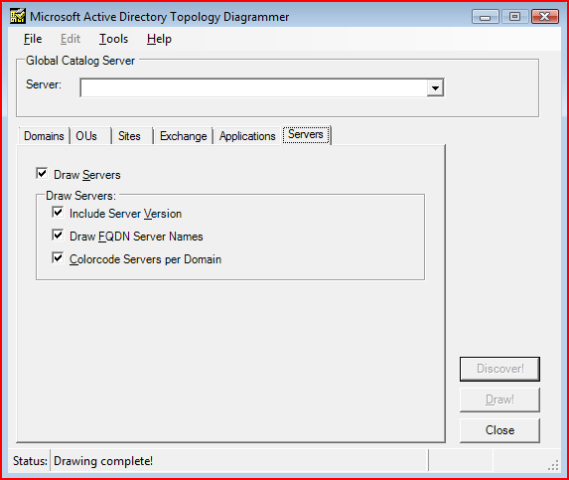 The diagrams include domains, sites, servers, administrative groups, routing groups and connectors and can be changed manually in Visio if needed.